Seeds and Fertilizer Software for Fertilizer, Pesticide and Seed to management billing, inventory, customers and accounts. Seeds and fertilizers business mostly runs in villages and towns in traditional style. Farmers most of time get seeds late due to the gap and lack of distribution supply chain management. There will be a lot of inventory wastage because business owners are unable to predict the products which get sold. Most of the times farming usually change according to the season, so that even fertilizers will also get changes eventually. Usually, all the problems of the owner can easily solve just by adopting the technology, but people are fearful of it. That’s why just billing developed seeds and fertilizer software in a very easy and simple way that everyone can adapt. It produces detailed reporting of what products are getting sold in particular season, which helps to place the inventory accordingly. 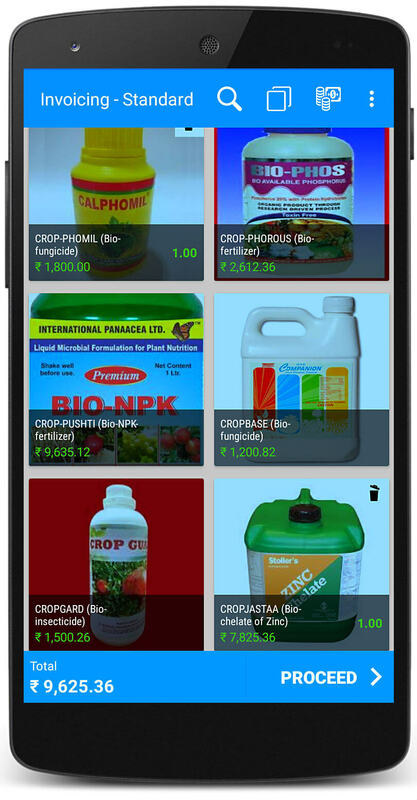 Distribution and supplying of products will be very accurate on time because seeds and fertilizer software records every supplier details and also note down what products they supply. Which helps to place an order before and can give instructions on what date it has to supply. Take the phone, open Just Billing app, select the products, choose the payment option according to the customer, print the invoice and keep the phone in the pocket. That easyJust Billing built the product which everyone feels uncomplicated. Many people may not understand English properly and get confused with terms. That’s why just billing gives you the option to change the language setting to your preferred language. You can configure and customize the seeds and fertilizer software according to your requirements. Everything available under settings in a clear way to choose like printing machine, barcode scanning, sending SMS or emails etc. A lot of times people pay partially and either they or you forget about remaining/actual amount. Just billing gives you the option to note details of payments which are partial and allows to keep the due date of the remaining amount. So it is easy to check how much amount by just clicking on particular customer name. When there is competition in market people always look for the best price. So even a bit discount than others can increase the sales in a huge way. You can set up different kinds of offers on various products or as whole and discounts will calculate accordingly while billing. You can also give discounts during the billing stage. Just billing seeds and fertilizer software works in real time to track the inventory and helps to transfer the stocks to multiple outlets and branches. It also to record the theft, damaged inventory details. There are few customers who buy the products in bulk and we give them products at a discounted price. Just billing makes you record those kinds of customers separately. As its very important retain this kind of customers because sales volume will always high. Just billing gives you different types of analytical reports which helps to take effective business decisions. It improves the risk management, reduces the cost, increases the profits etc and helps you address the issues faces by business. Download Seeds and Fertilizer Software! Download and follow simple steps to setup Just Billing Seeds and Fertilizer Software.